How can a digital approach revive your dead clients? For anyone with even the slightest of knowledge about marketing, it is an obvious theory that acquiring new customers costs way more than reviving the old ones. For instance, you choose to target an audience to avail your services. The chances of a new customer buying your product are very less. But, if you poke an old one rightly he/she would readily invest again. See, the point is a business! To make the most you need to be efficient with both Customer Acquisition and Retention. Customer acquisition is the growth part, where you are trying to expand! Retention is the part giving you a safe zone, and can also help in acquiring more clients. Now, if you talk about reviving the dead leads or clients who no longer take your services, is the part which most companies don’t pay much attention to. However, you are missing on to so much if this business zone is forgotten. For the matter of fact, the probability of selling to an existing customer is 60-70%, while that of selling to a new prospect is 5-20%. There are simple ways by which Frozen leads can be rejuvenated. 1. Think What went wrong? 95% of all customers act as a result of bad experience, from which 66% discourage others from buying from that company. For this, we have, ‘Attrition Rate’, i.e. Churn Rate, as known to most. In simplest terms, you are calculating the number of people who cut ties with your company. If Churn rate is greater than the Growth rate, there is indeed a serious issue! As your customer base is shrinking. For businesses, the major concern is profit, and profits can never be barred. Growth is limitless in today’s era, where Globalization is the buzzword. And, in the same zone, you are losing your customer base!!! Intelligent business is when with least investment, you make most profits. We have all been there when you lose customers and you really can’t figure out a valid reason. If one customer shares his/her bad experience, there are possibly many more who remained silent and broke ties. A news of bad experience reaches twice as many ears, as praise for good service does. First and foremost, what you need to do is focus on taking feedbacks. Sometimes customers leave, for the reason that they don’t think they need you any longer. For that, you need to make sure that they realize the need and what they can’t achieve on their own. In this Social Media Marketing, Content Marketing, and Email marketing are the most effective methods. 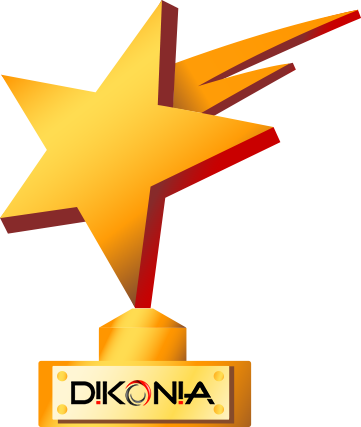 Here, at Dikonia, we pay crucial emphasis on these three aspects, as besides targeting potential clients these three are the magic wand which will help you revive the lost ones. 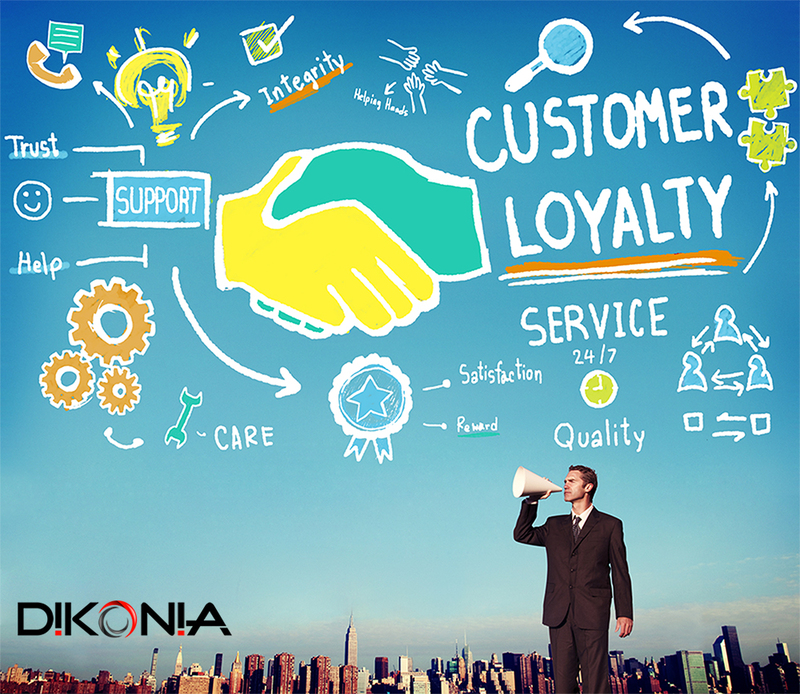 To make your business reach heights, you really should be focussing on customer longevity! The lesser time it takes for your customers to leave you, and disconnect from your services, the more you should be focussing on the wrongs. 2. Strategize to hit it right! Why strategize when you can randomly post? Well, to stimulate the interest of the current audience, and reach out to the new ones, it is important to strategize. You are probably irritating your viewers, and are unable to hold their attention if you post anything and everything without properly knowing the context of what must follow your earlier post! Strategizing is a time-consuming process, and requires sound comprehension of what intrigues the viewers targeted. Like we already told about the 3 keys to the box which holds the potential of reviving your lost leads, SMM, Content Marketing, and email marketing! You need to strategize what you publish! For instance, targeting a particular keyword, engrossing curiosity of the user about the next post of yours, and already telling what problem you would be targeting next. To strategize, you need to take a dig into the current requirements of the user, their major issues they search about, the loopholes in their current business, and whether you are putting in a content which is fulfilling the purpose of the reader. Researching and assembling take time. A lot of it. You need to focus on the various dimensions of content as well. Content calls for diversity today! You need to give your readers a reason to follow you! You need to pitch in captivating content time to time, you are communicating with a virtual audience who will earn you business. These aspects play an undeniably crucial role in polishing your brand’s image. Content Marketing is a witty game, and if you play it right… it gives your competitors new success goals. Annual growth in unique site traffic is 7.8X higher for content marketing leaders than followers. Also read: Get 3x more leads from your website in 30 days. 3. Are you lacking in customer service? Customer Service inevitably affects the business in a prominent way! Each year US Businesses lose $41 Billion from Poor Customer Services. Most customers tend to send their complaints digitally these days, be it in the form of comments, messages on social media, or say writing reviews. Even if most of the customers remain silent after a poor customer service, whilst distancing themselves from the business, the marketing team can interact with the customers on social media. Building a relationship with the client is very important, you need to constantly keep up with the existing customer if he is satisfied with the services. In case, there is any issue, an action must be taken. This way you are making your customer feel important, and very effectively covering up for the mistake. Bad customer service has some serious side effects, which include from ruining your brand’s reputation, to decreasing customer longevity. 86% of customers will pay more for better customer services! Therefore, we can claim that this point doesn’t only revive the dead clients, but also, increases the credibility and worth of a business’s products. What turns constant, goes stagnant, and eventually decline! Stop boring your viewers, and customers… stop being afraid of coming up with innovations. Especially with the marketing strategy, you can’t show up with the same kind of methodology again and again. Over 63% of the customers say they like it when manufacturers offer new products! Let’s take an example of the far-famed and much-loved Domino’s pizza! Any new innovation is followed by a creative marketing strategy to encourage the audience towards purchasing. For the stars who walk in the limelight, their innovative styling… whether liked or disliked, never defames! The product launch of Dove is a perfect example of innovation, extremely exclusive! If you wish to create a buzz about your product and services, rather than following the bandwagon, you need to be creative. For business, besides the products, innovation is reaching out to the potential customers. And it is obvious, that old customer is more likely to invest in the new product! We call it Recall Marketing! Use the sorcery of efficient marketing, check out for new trends, add a pinch of your uniqueness, and make your brand name unforgettable. Do not be business oriented all the time. Let your brand name flow, and remind them of your services, and the good in you. Following the digital means will not only cost you much lesser than the traditional marketing did but will also garner much more business than the later did! In the 21st century, the internet is the second home, companion, and mentor for all.